In association with the UK China Shaanxi Business Association (UKCSBA), Ebury presented an afternoon seminar on the risks that SMEs face when trading internationally. ith the target of providing relevant and useful information on how to properly manage the uncertainty inherent with trading internationally, key members of the UKCSBA community joined us to discover how Ebury can help grow their businesses. With a short introduction on Ebury’s history and core product offering, our deputy head of UK Dealing, Philip Stephens, detailed the current key events moving the currency markets. You can subscribe to our weekly market reports here. Qi Yan, Key Account Director, then gave a crash course in risk management. Focussing on foreign exchange, Qi presented the advantages that paying in local currency can provide, as well as several different ways of protecting margins from movements in currency markets. To finish up, Qi presented several case studies to showcase how our lending facility has helped businesses to unlock working capital and expand their footprint internationally. Finally, our friends at the UKCSBA, Jessica Brennen and Qiu Zhaojun, shared their knowledge of the Shaanxi region and the trade opportunities available there. 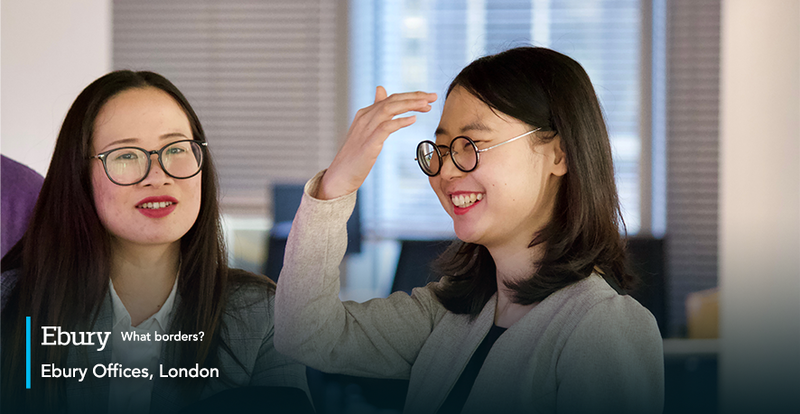 Committed to helping bridge the gap between British and Chinese businesses, the UKCSBA holds monthly events with relevant organisations to educate their members on the best business practices. To discover more about how Ebury can help your business, read about our risk management strategies here.